the time has come. a huge date in our annual calendar. we’ve done the necessary preparations, brought in the right equipment, prepped ourselves for every possible outcome and we’re ready for it. we really are ready for it this year. yes. i’m talking about love island. It’s back on our screens and I’m so ready for it to absolutely swallow my summer whole. Just as you are, I assume. You know the feeling when you’ve got a brand new bae and you cannot stop talking about them to your friends? To a point where you are annoying yourself and everyone you speak to – that’s how it is with Love Island too. You’ll find any excuse to slip it into conversation. 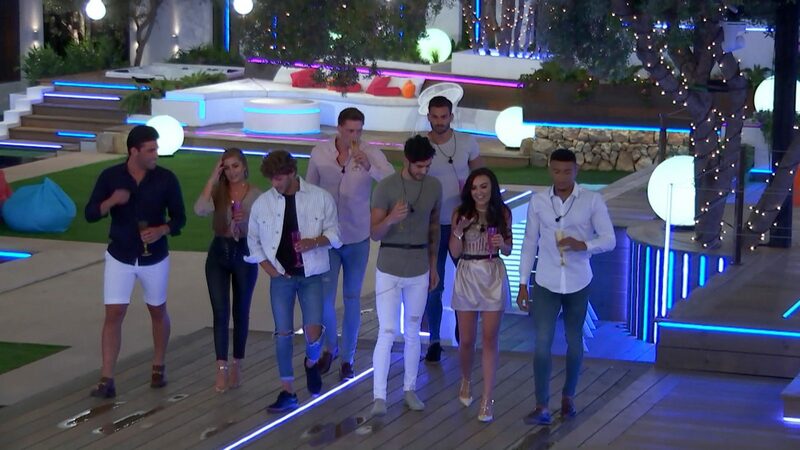 Whether it be a private joke, pondering about recoupling, or unpicking the insider dramas, those contestants on this year’s Love Island will become your best mates. If we’re being brutally honest, you’ll probably be more invested in their relationships rather than your own this summer. But that’s what summer singledom is for, isn’t it? Doing things you wanna do, even if that is watching people fall in love on your TV screens and getting jealous. I’ve been thinking a lot about love recently, all of it from being lonely to being head over heels. At age 25, I’m surrounded by my best friends moving in with their significant others, getting married, I’ve got my parents elbow nudging me telling me that we aren’t getting any younger, and I’ve got a bunch of the hottest people in the country on my screens for the next couple months trying to find love amongst themselves, and normally succeeding, at least until a few weeks after the show finishes anyway. Then they start doing their club night tours or catch a bad case of the wandering eye and it flops. I’m looking at you Marcel – how could you do that? I was rooting for you! We were all rooting for you! But anyway, love. Love is what we’re talking about here. But why was it record breaking? Yes, last year’s series took off like a rocket, but I think it’s something deeper. The reason for the show’s popularity is because it feeds our unwavering need to find true love. Hear me out with this one – it’s in our genes to find a partner, we’re a creature of coupling up, and we have this intrinsic desire to find love, and this show helps us understand that. Love Island gives us a valuable insight into relationships and gender roles that is informative and helpful on our quest for the one. This is why it took the nation by storm last year, we become invested in the lives of those of the show, but we also are able to compare what was going on in their on-screen relationships to our real-life relationships. There was Kem and Amber and the whole fiasco of them choosing different partners before coming back together and winning the show. We watched the couple from day one – Marcel and Gabby – flourish. We had our hearts broken with Camilla, and watched as Jamie glued hers back together and therefore mend the crack in ours. We could relate to Montana holding out for a treasure, deciding to be more interested in cereal than the guys inside the villa. And we got to watch the volatile, one-minute-they’re-smitten-and-the-next-their-arguing Chris and Olivia. We saw every single element of every relationship. When we watch Love Island, we learn the same love lessons as the contestants. We can see character traits emerge (like this year’s Adam being a really buff but very slithery snake – sorry but just because you’ve been chiseled from marble gods doesn’t mean you can do that to Kendall) and us viewers can relate these characters to our own situations. If you’re dating a snake like Adam, dump him. If you’re choosing a girl because she just wants something from you like Eyal and Hayley – leave her. Or if you’ve found a good egg with a Harry Potter tattoo like Niall and Georgia – cling on to him like you’re life depends on it. 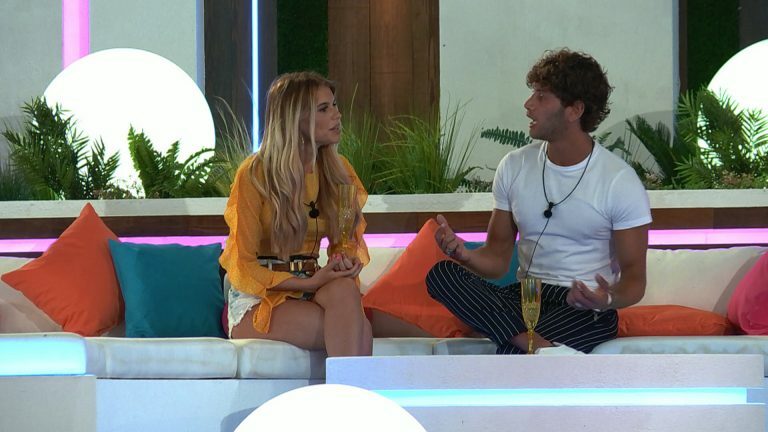 Now, I know we need to take the Love Island love with a pinch of salt, but I can’t help but swoon watching them get butterflies. It triggers the innate part inside of me craving the same heart-pound inducing attraction with someone. Summer time may be the cliché time of the year for embracing living in Single Town, population: you – but Love Island has us pining after a summer romance that is going to sweep us off our feet and snog us under a palm tree. I say we embrace the emotions in the air and name summer 2018 the summer of loving. Who’s with me?